Christine Wilton, a resident of Kapiti, New Zealand, was walking her dog on Peka Peka Beach last Tuesday when she stumbled across something beyond incredible - an emperor penguin on Kiwi shores. "I saw this glistening white thing standing up and I thought I was seeing things," Wilton said. Turns out, the avian royalty had made an astonishing trip of nearly 2,000 miles or 3,000 kilometers from its home in the Antarctic to Kapiti. But wait (you're thinking) New Zealand has penguins! And you’re right. 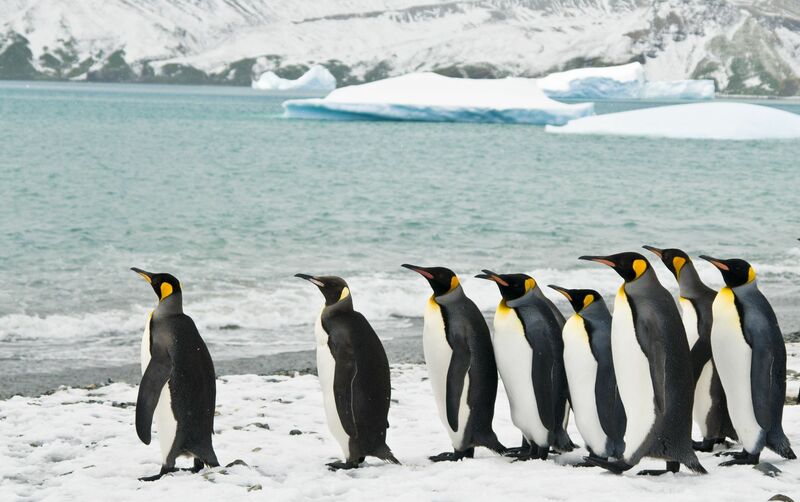 The Land of the Long White Cloud is home to the little blue penguin or fairy penguin, the yellow-eyed penguin and more, but NOT the Emperor Penguin, which is endemic to Antarctica. The discovery of the formally dressed fellow or female - they’re not sure yet - has sparked international interest and its share of controversy (responders were indecisive about where to take the penguin and there was talk of euthanization). But more than anything, the dapper creature - now dubbed “Happy Feet” by the public and the media - has brought a whole lot of smiles to people ‘round the world. Department of Conservationist (DOC) rangers found the penguin eating sand, which they think he/she confused with snow (at home in Antarctica, the penguin would eat the snow to rehydrate and keep cool). It seems that after making the long, long, long swim to New Zealand, Happy Feet was not only good and tired, he/she was confused, hungry and a trifle too warm. for care and treatment, where they were initially skeptical about his/her recovery: Happy Feet had eaten more than six pounds of sand along with twigs of driftwood, which were blocking his/her system. He/she underwent two procedures to flush out his/her digestive system, then the zoo called upon Wellington Hospital gastroenterologist, Dr. John Wyeth for help (locums, you never know what you'll do in New Zealand). The surgeon, who usually works on humans, performed endoscopic surgery and the outlook for Happy Feet is good. Our fine-flippered friend is on an IV drip and enjoying fish slurry (yum) at zoo accommodations that include ice blocks and a cooler clime. Recent x-rays shows the penguin is passing sand and sticks naturally, though he/she will undergo more x-rays again at the end of this week. Wellington Zoo Vet Science Manager, Lisa Argilla, said that the penguin had been "calling.” According to the AP, she said, "His demeanor is good. Yesterday, he actually punched me in the stomach with his flipper." Assuming our avian friend makes a full recovery, the burning question is now what? Debates on whether the bird should be taken down to Antarctica are raging. Millionaire businessman Gareth Morgan has offered to take the bird home on a Russian icebreaker ship making an expedition to the Ross Sea in February. However, taking Happy Feet back to Antarctica would be illegal under the Antarctic Treaty and would require a special permit. Yesterday, a specially formed Penguin Advisory Committee decided the best option would be to release Happy Feet into the southern ocean, southeast of New Zealand. Happy Feet will need time to recover - several months - before he/she goes anywhere. For now, we think the news of Happy Feet's improving health and newly found fame is, well, happy news.